It’s National Champagne Week 1st-7th October and there are plenty events to get involved in. Join a champagne masterclass on Thursday 6th October with Veuve Clicquot and Moët at Searcys in Westfield Shopping Centre, where Joe Gunner will give you the opportunity to personalize four of your own Champagne on The Rocks serves with the choice of a few simple ingredients. Or try dinner on Friday 7th October with Taittinger at Searcys in St Pancras Station, where executive Chef Colin Layfield has created a tasting menu to complement each of the carefully selected Champagnes from the house. For more event details and to buy tickets visit nationalchampagneweek.co.uk. This week 3rd-9th October is London Cocktail Week. 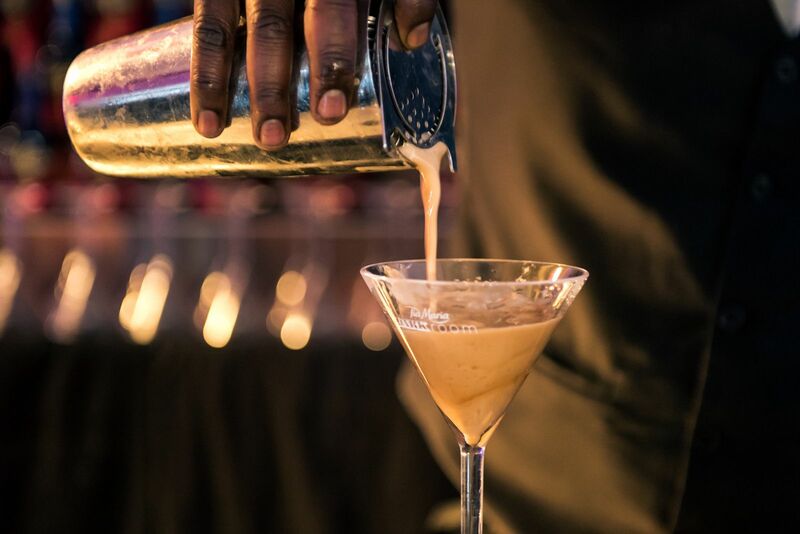 Grab your festival pass for £10 and experience a whole host of cocktails across over 250 of London’s top bars for just £5. There is also a series of events happening too, including Cocktail Village at Spitalfields Market, with over 40 pop-up bars, trucks, vans and even bicycles from the biggest names in drinks all serving specially created cocktails for £5 each. Entry is free with London Cocktail Week pass and open Tues-Sat Midday-9.30pm & Sun Midday-7pm. For more events and info & to get a festival pass visit drinkup.london/cocktailweek. The London Cabaret Club is conjuring up an extra special treat for Londoners this Halloween in Sympathy for the Devil, 28th and 29th October. For two nights only London cabaret Club takes over Bloomsbury Ballroom with an explosive show and for VIP ticket holders a three-course, British Tapas meal with signature cocktails brought to your table as you enjoy the show. Expect fire acts, special guests and mind-blowing performances. Guests are heartedly encouraged to arrive in their finest Halloween costume for the occasion. Ticket options and details are available on The London Cabaret Club website. Throughout the month of October, Chambord have a pop-up at the South Place Hotel, every Friday to Monday, from 6pm. 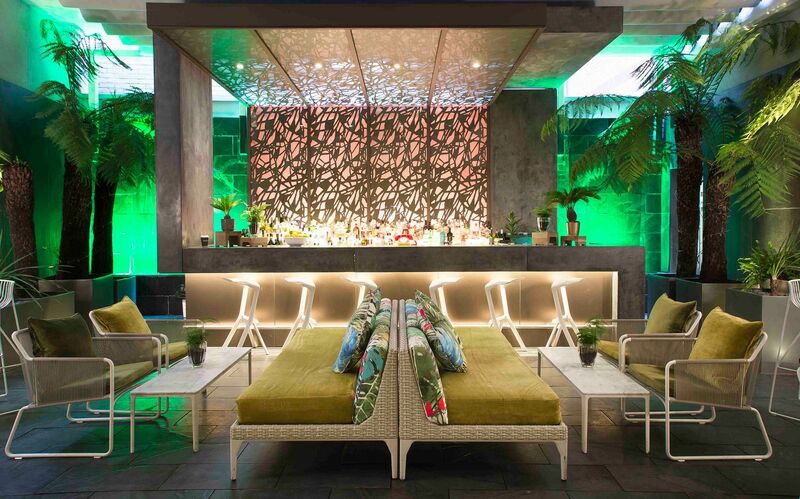 South Place Hotel’s tranquil Secret Garden Bar, will be transformed into Le Jardin de Chambord. Enjoy a selection of Chambord cocktails such as the Chambord Royale, the classic French Martini as well as a new fruity Club Chambord creation. Chambord-infused sweet treats have been specially crafted by the hotel’s Executive Chef, Gary Foulkes. Think dark chocolate truffles, filled with a rich chocolate ganache, delicately seasoned with the distinctive black raspberry liqueur, and crisp macarons filled with a crème de mure cream. Being an avid follower of Grey Malin on Instagram I was pretty excited to see he is holding an exhibition this month with Le Méridien Piccadilly. The month-long exhibition from 5th October, will coincide with Frieze London and will showcase an exclusive global first look of Malin’s new series, The Art of Living. Select images will be on display from Poolside Mediterranean and Bhutan: Land of Happiness, both of which were shot within the Le Méridien destinations Barcelona and Bhutan. 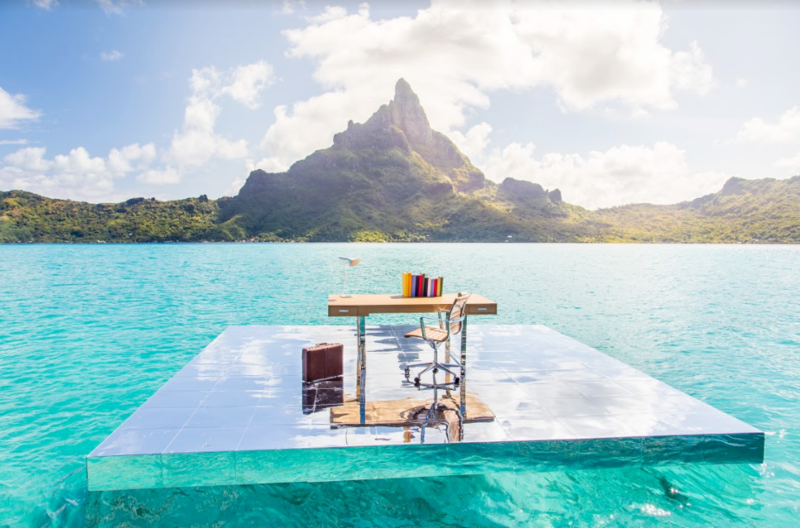 Throughout October, the exhibition will be open to the public in the lobby of the hotel (for the Barcelona and Bhutan collections) and in The Terrace Grill & Bar (for the new series shot in Bora Bora). For more visit www.lemeridien.com/FollowMe.